DUBAI, United Arab Emirates (AP) -- The boy is only 12 years old and looks even younger and smaller kneeling next to the wreckage of a helicopter, flanked by masked jihadis carrying Kalashnikov assault rifles with bandoliers strapped across their chests. Much remains unknown about him - particularly, the key question of where he is - but his life has mirrored al-Qaida's path, moving quietly and steadily forward, outlasting its offshoot and rival, the Islamic State group. In Iran, Hamza's mother Khairiah Saber urged the al-Qaida lieutenants there to take her son - now a teenager - under their wing. Hamza wrote to his father recounting the Islamic theology books he studied in detention, while expressing frustration that he was not among the jihadis in battle. In August 2015, a video emerged on jihadi websites of Ayman al-Zawahri, the current leader of al-Qaida, introducing "a lion from the den of al-Qaida" - Hamza bin Laden. 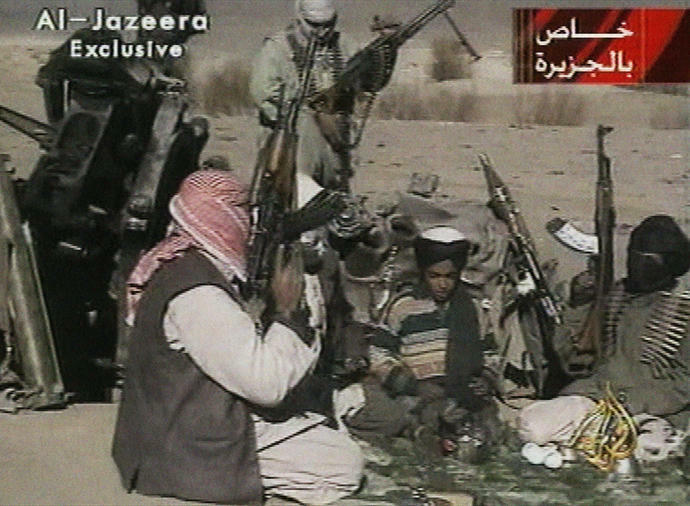 The younger bin Laden was not shown in the video, speaking only in an audio recording. With a voice deepened from the tinny recitals he offered as a child, he praised al-Qaida's franchises and other militants. "I think as ISIS' strength continues to deteriorate, the international community has perhaps realized that there are other terrorist groups - including the ones that never went away, such as al-Qaida," said Sajjan Gohel, the international security director of the United Kingdom-based Asia-Pacific Foundation, using another acronym for the Islamic State group.